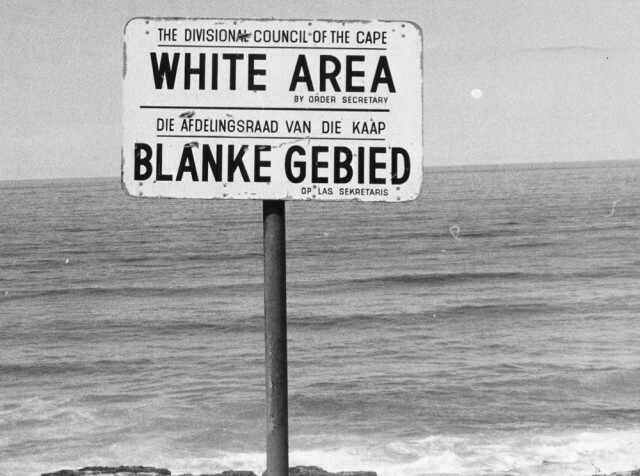 Apartheid, a system of racial segregation, was official government policy in the Republic of SOUTH AFRICA from 1948 to 1994. Under apartheid, South African blacks, Asians, and people of mixed ancestry called “Coloureds” were systematically separated from white society, deprived of any participation in government, and subjected to all forms of discrimination. The idea of white supremacy and racial discrimination had been accepted in South Africa before 1948, and white South African governments had put various segregationist policies into effect. However, it was not until after the 1948 elections, won by the pro-segregation National Party, that these policies became law. During the 1950s and 1960s, the South African government passed a number of laws that classified people by race. These laws deprived blacks, Coloureds, and Asians of most basic rights—taking away their property, restricting their movement and activities within the country, and forcing blacks to relocate to special “reserves” apart from white society. The laws affected millions of people. They segregated South Africans in every aspect of life and gave a tiny white minority total control over the nation.